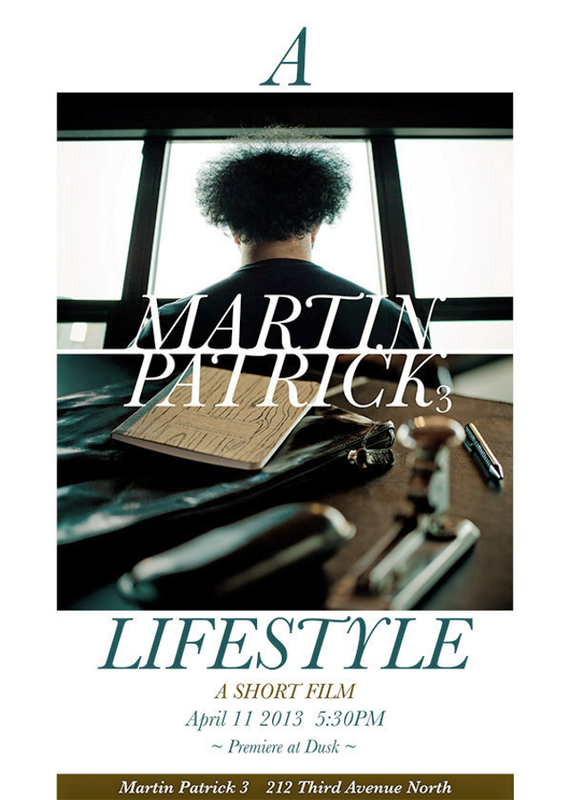 Spring is finally showing its face and we are excited to announce the premiere of “A Martin Patrick 3 Lifestyle.” The short film is a collaboration between JCP and the Minneapolis based men's clothing and accessories boutique Martin Patrick 3. The project is an interlaced venture of film and fashion that will debut at the official pre-party for the ENVISION: Artopia® Spring 2013 Fashion Show. Stay tuned to the JCP blog where we will be launching teaser trailers in upcoming posts. Collaborative partners and sponsors include: Splice, Filmerkid Visuals, Flashlight Photorental, Coelement, City Pages, Ignite Models, RAW, FreeArts.org, Crave America, Rocco Altobelli Salon and Day Spa. Poster / promo design by Sam Trewick. With opening day just a little over a week away, we are all excited to kick off a new season of Twins Baseball. In anticipation of the new season, we were brought into a project created and concepted for the Minnesota Twins Community Fund by Martin Williams. We worked closely with the team at Martin Williams and Volt Studios to visually bring the project to life upon the frozen surface of Brownie Lake here in Minneapolis. Pre-production involved creating an accurate baseball diamond the day before by having our team outline the shape of the ball field with a 100' measuring tape and shovels to remove enough snow to reach the base level of the lake. As additional support for the project, and essential for the big reveal shot at the end of the piece, we collaborated with Picture Factory who brought in their Cine-Star 6 to fly a camera over the whole scene capturing an impromptu game in progress. Further production supplies and support were supplied by Tasty Lighting. Music "January Hymn," by The Decemberists. The final 30 second spot has begun airing on TV and will also be shown at the Twins Stadium once the 2013 season is underway. We hope you enjoy watching the alternate 60 second version of the spot here as much as we did creating it. Check back on opening day, April 1st, for a look at the behind the scenes video as well as nod to everyone who rallied to make this a success. Go Twins! One of the longtime mantras of Target; "Fast, Fun, and Friendly" might now need to add "Urban" to the lineup as the newest iteration of Target stores has been gearing up with multiple city locations that have a smaller footprint and cater to the needs of a denser population. We spent time in the downtown Seattle City Target in collaboration with Little and Company capturing the visual essence of the new store format for a profile story in Target's RED Magazine. Nestled in the lower 3 floors of the Newmark residential tower just blocks away from the world renowned Pike Place Market - the location couldn't be better. This City Target is one of three original stores of this type to debut; ready to serve a unique mix of office workers, tourists, and residents in nearby condos and apartments. With additional City Targets in Chicago, San Francisco, and LA, the mega retailer is offering city dwellers an economical option in a boutique size. It will be interesting to see how these new stores will be received as well as watching for possible integration into other urban markets. We've been busy working on a number of fronts including a recent project in NYC for Ogilvy, a 23 hour trip to Alabama for Target, and prep for an upcoming production next week in Southern California. Behind the scenes here at the studio it's been exciting to have Nathaniel Schmidt on board. His new editing suite is nearly complete including a 50" monitor to showcase his editing magic. In addition to all of this, we've been prepping still and film based visuals for the JCP brand refresh that's well in the works; once again tapping the talents of Eight Hour Day. We're also psyched to be infusing the copy-writing talents of Charles Youel, the force behind ARTCRANK, on a new section of the website titled "Behind the Lens." We'll also be teaming up with Charles on a forthcoming short film, produced by JCP, featuring NYC's Central Park.